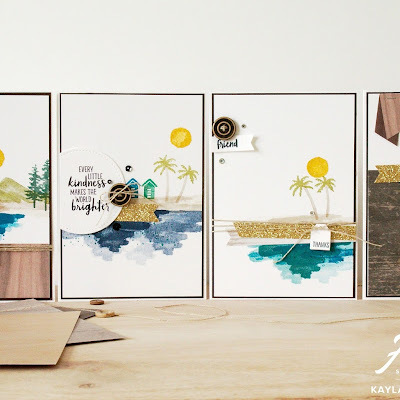 Welcome to our International Project Highlights using Current Stampin' Up Products. We have all created this gallery of projects for you to be inspired by! We would love it if you could visit every one of our blogs and see a close up of our projects. You can see the gallery below and this will be on every blog that you click on so you will never be lost. The idea of this card is that it has a secret like sliding component to creates a 'peek-a-boo' image. 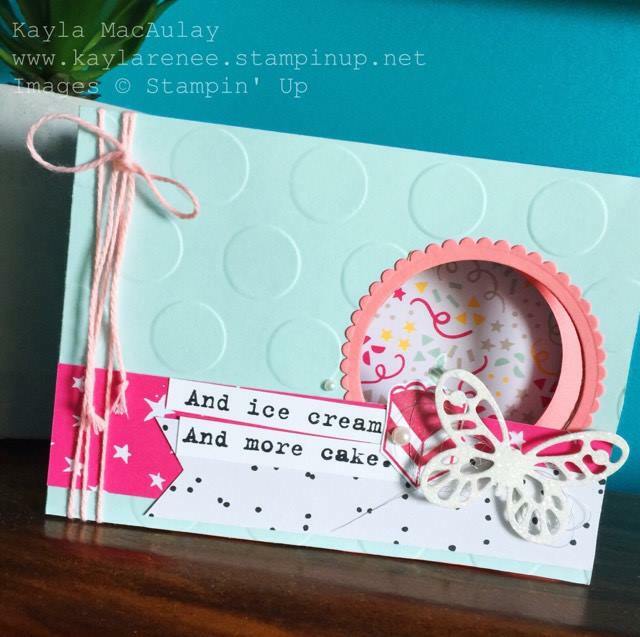 For this card I have used some of the gorgeous birthday themed Designer Series Paper that you can find on the clearance rack and then used the Cupcake stamp set to create a peek-a-boo cupcake. I think it's the perfect birthday card! 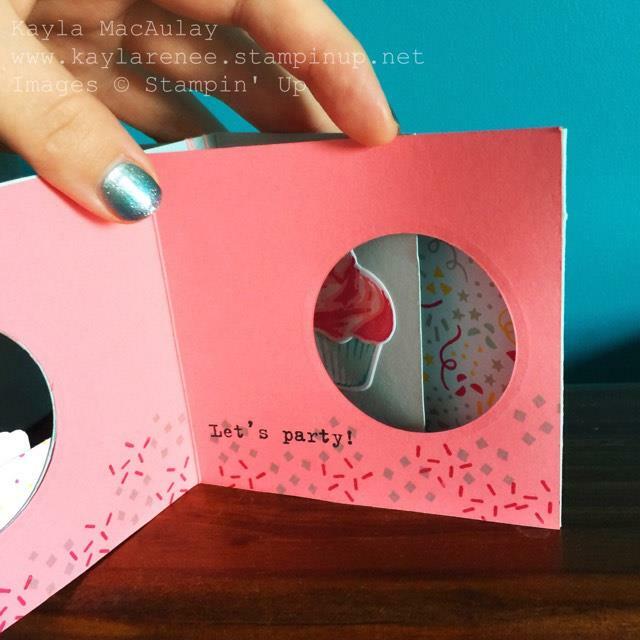 I have also decorated the inside of the card with some stamped sprinkles in mint macaron and melon mambo and added a 'Let's Party' sentiment stamp. I love how it came together. 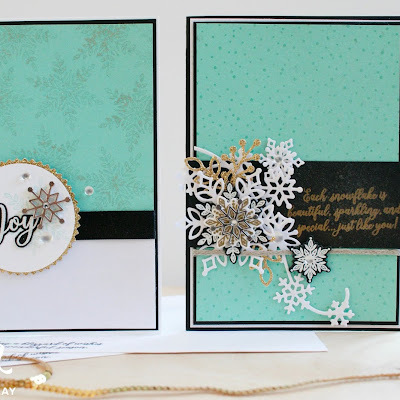 This card is inspired by one of Julie Davison's gorgeous creations. 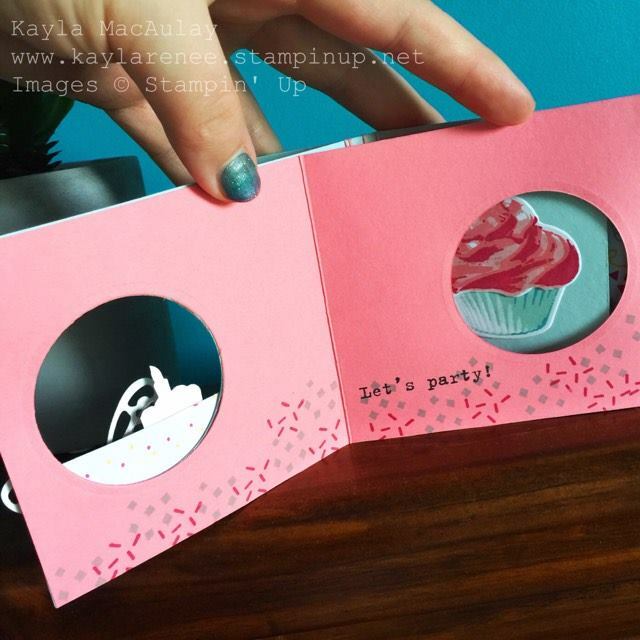 She created this gorgeous peek-a-boo flip card and I just thought it was genius. I set to work with a couple of my birthday themed sets to create a card for my niece's birthday and to tie in with my first International Highlights post. Thanks for visiting my blog today, there are so many amazing ideas and inspiration you don't want to miss. 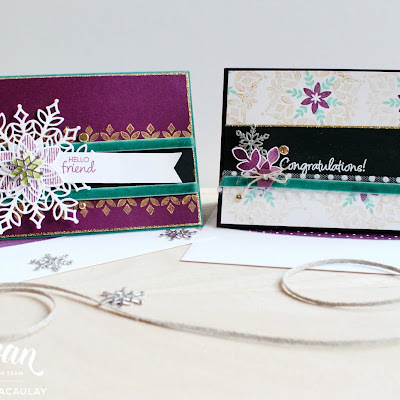 We know that you will love our gallery of projects made from Stampin' Up Demonstrators around the world!